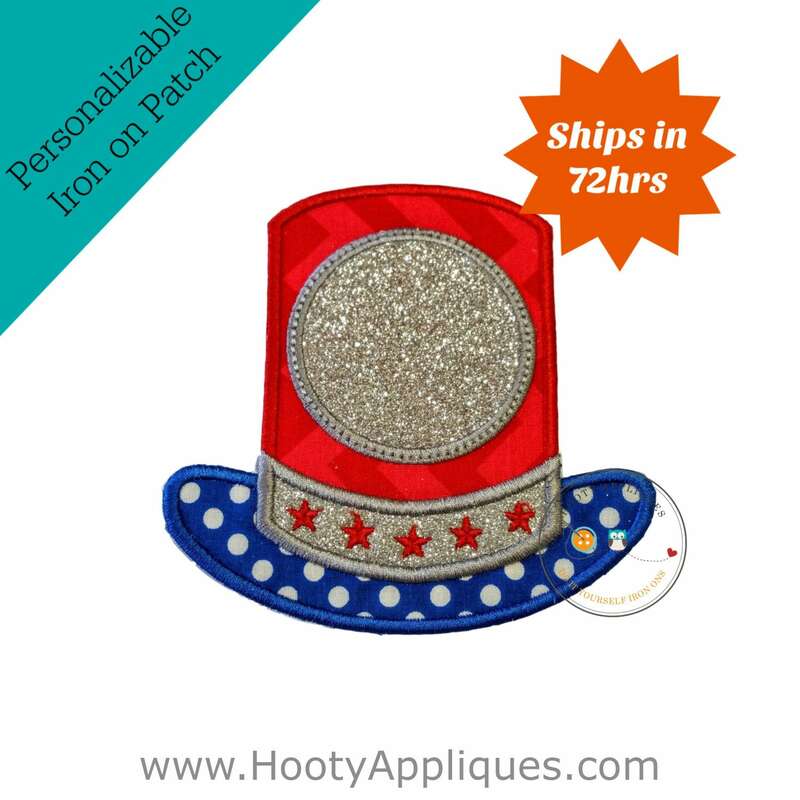 Brilliant personalizable Uncle Sam's top hat iron on applique. An iconic symbol of America done in a new and unique way. 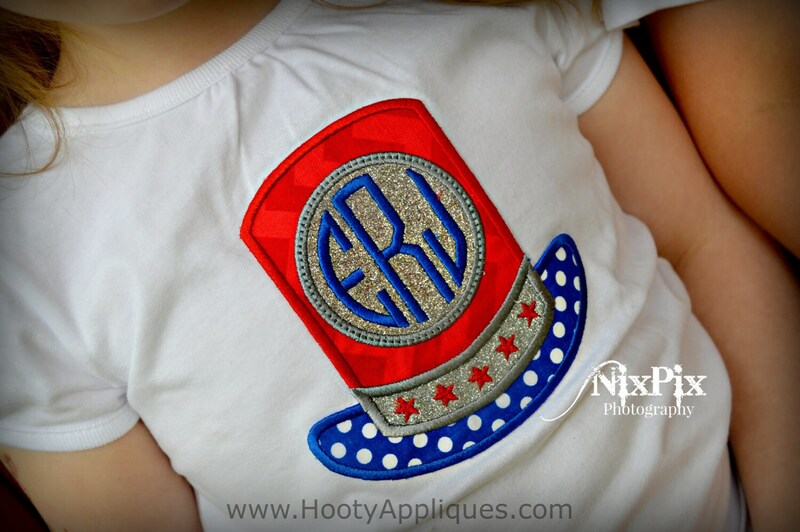 This 4th of July holiday patch is done in vertical dark and light alternating red chevrons and royal blue with white polk-a-dots. Both are accented with shimmering silver glitter giving it that eye catching look that every girl will love. 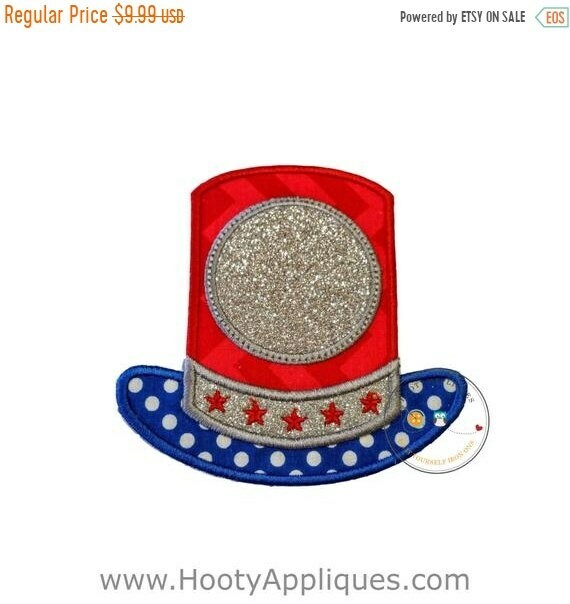 The Glitter circle in the center of the patch is where a monogram will go. *Patch fits a 5x7 areaa.